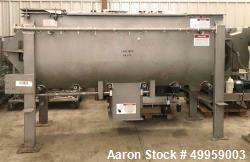 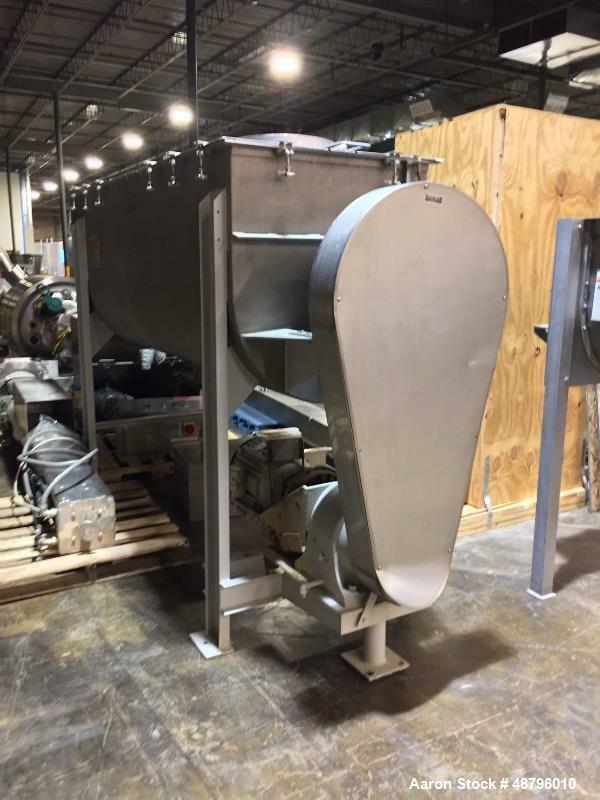 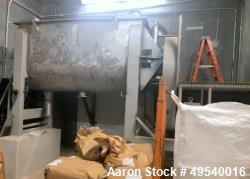 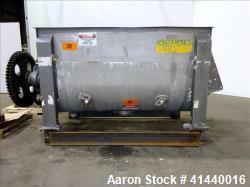 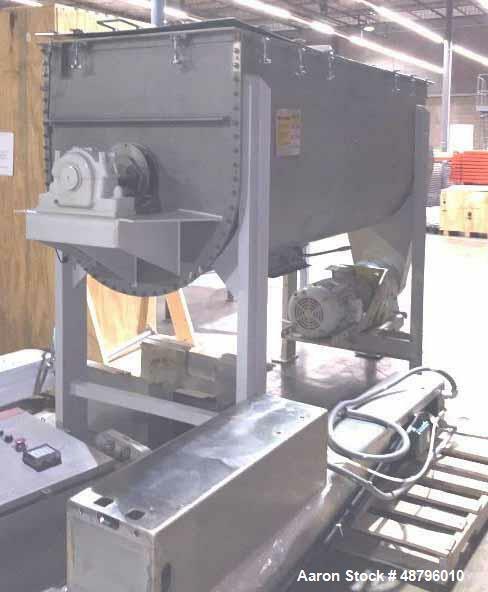 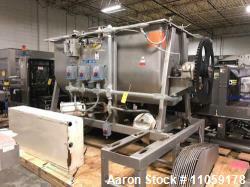 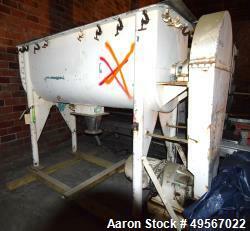 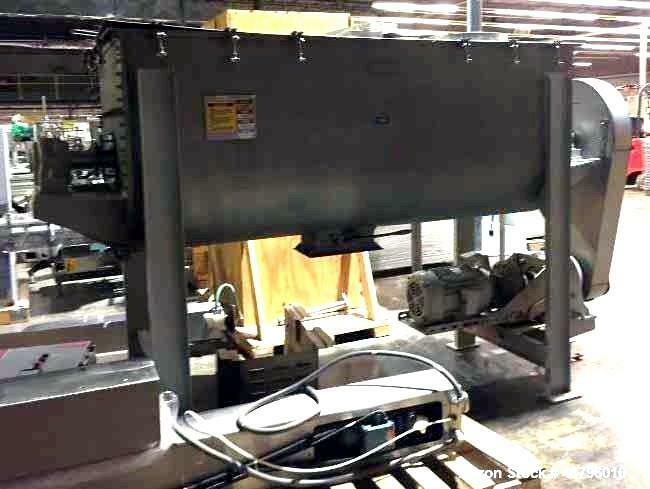 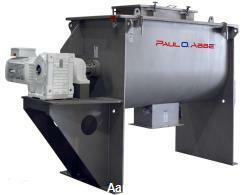 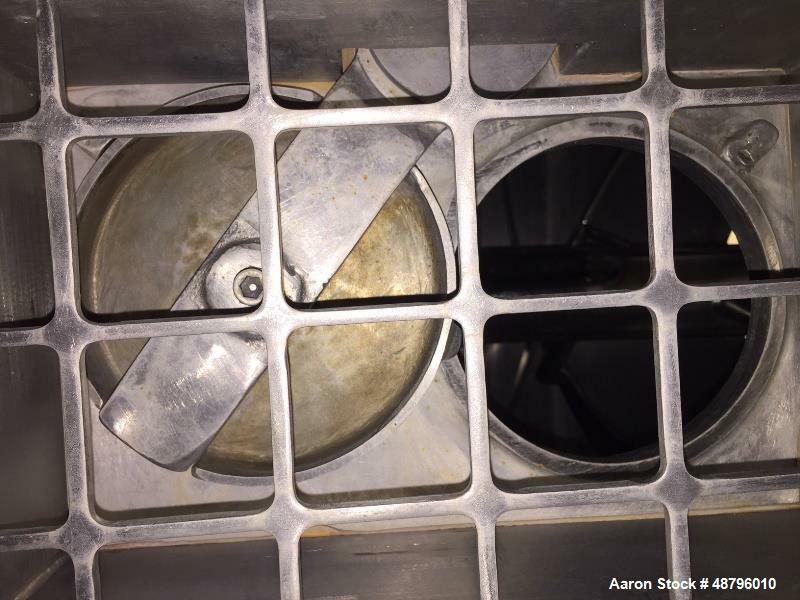 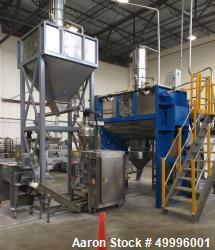 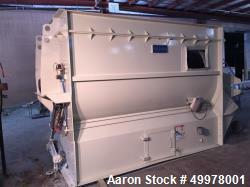 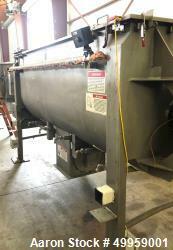 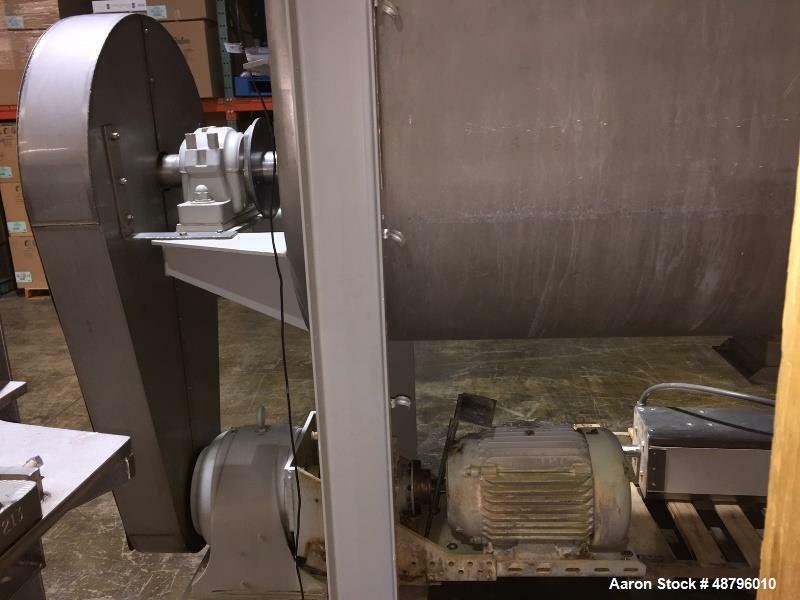 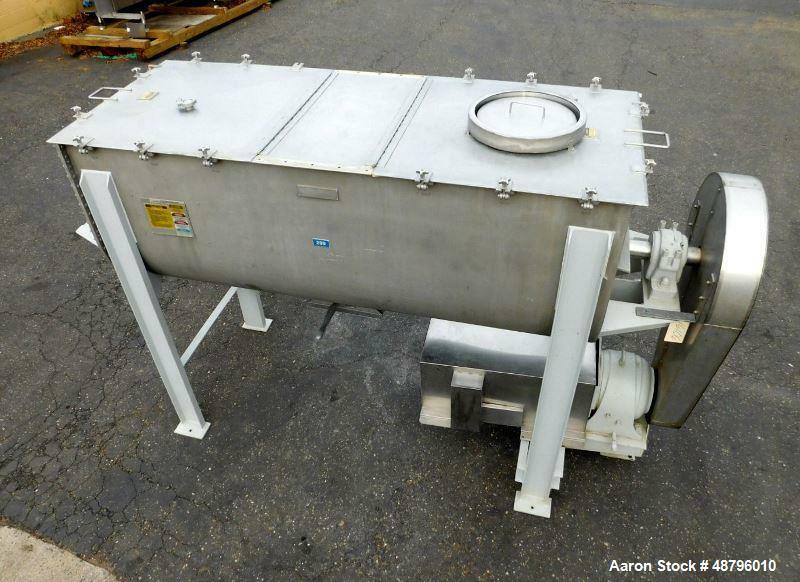 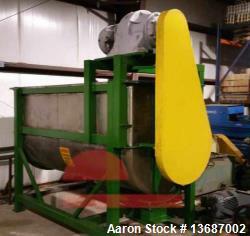 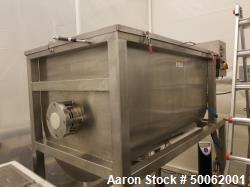 Used- JH Day Double Ribbon Blender. 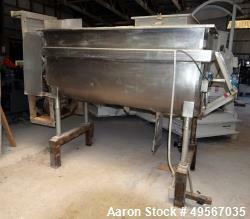 Used- JH Day Double Ribbon Blender. 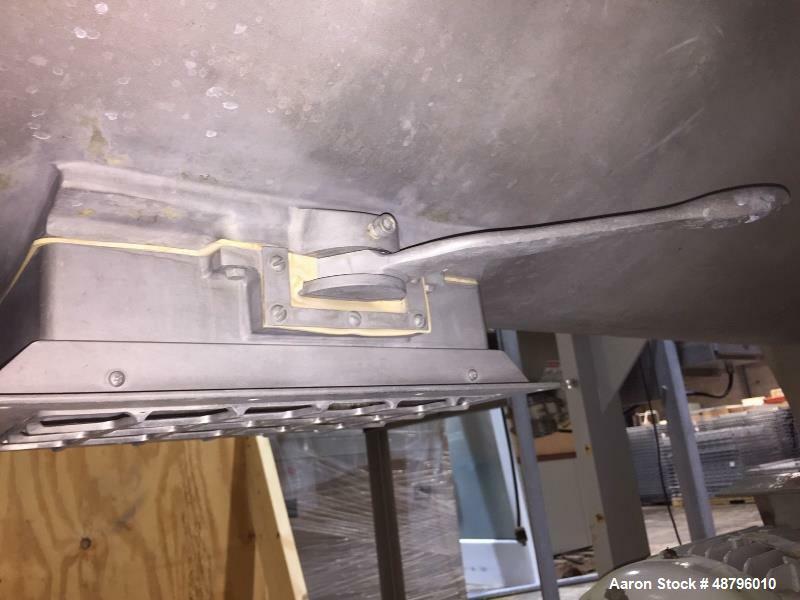 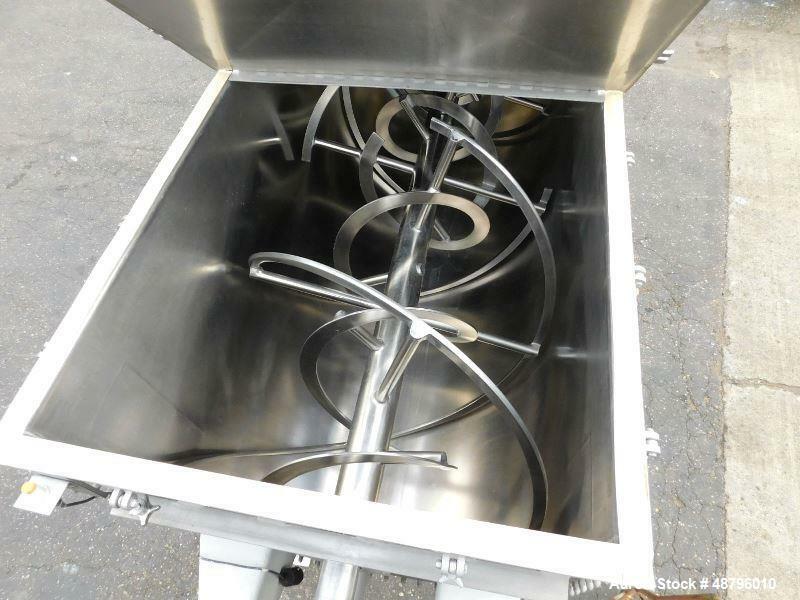 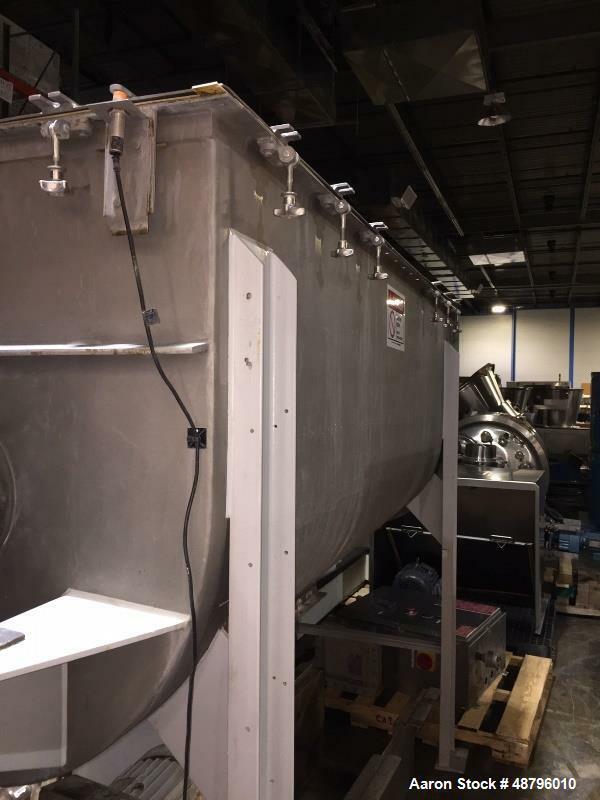 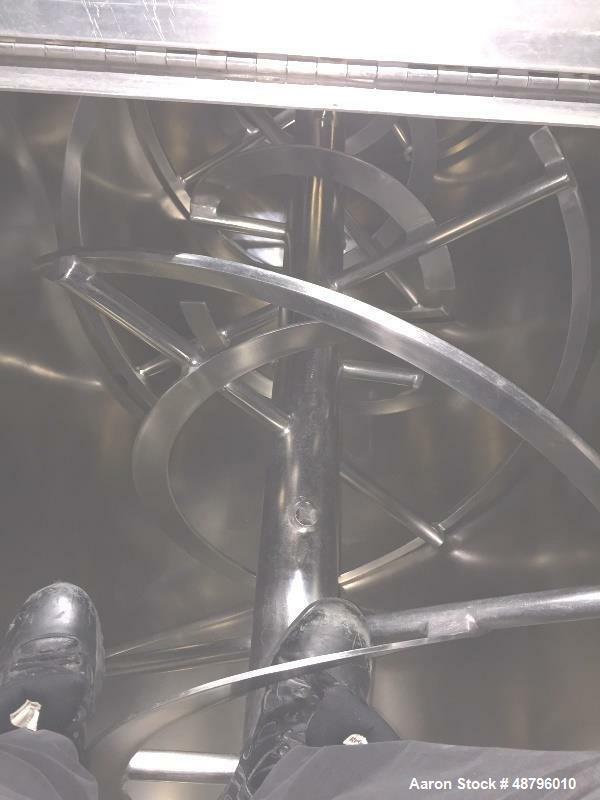 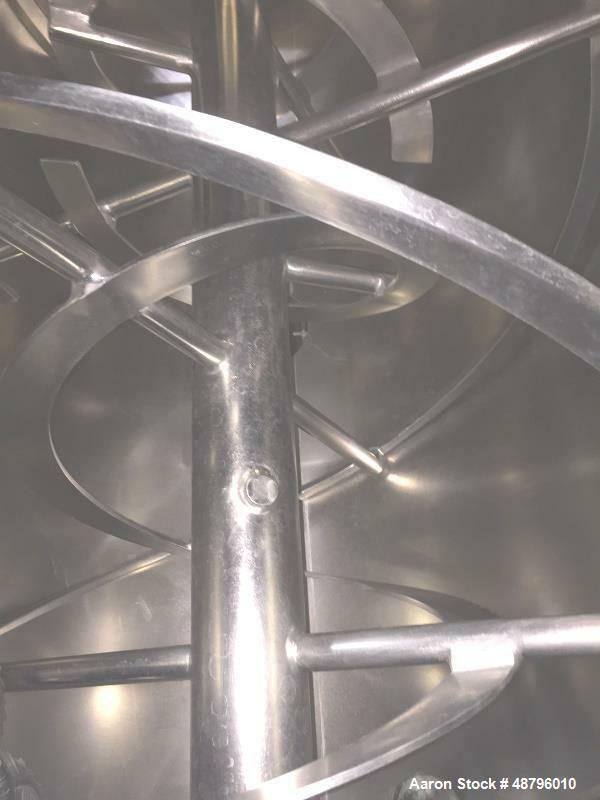 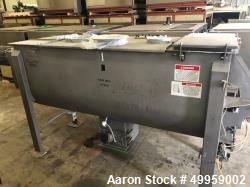 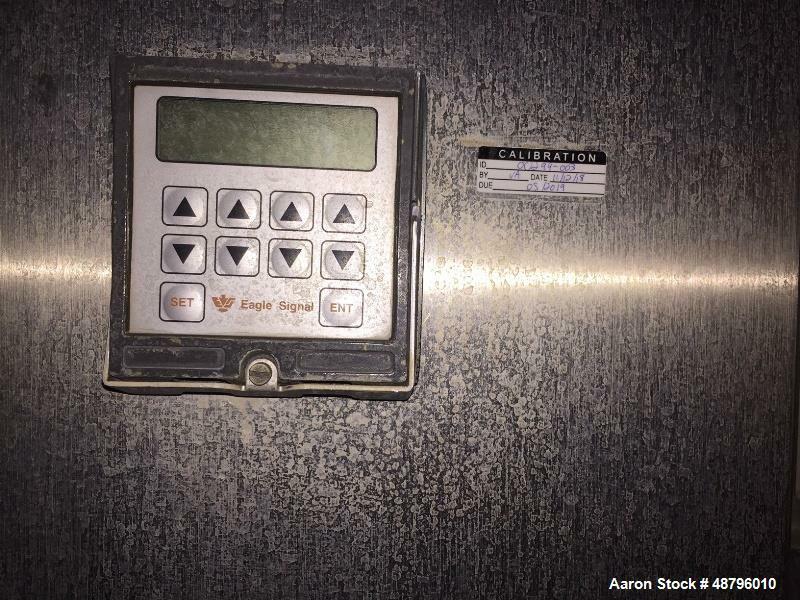 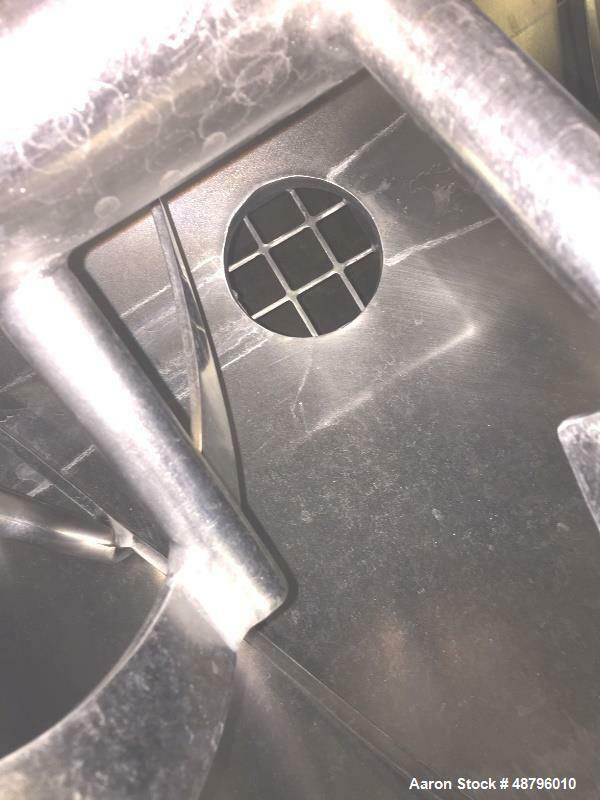 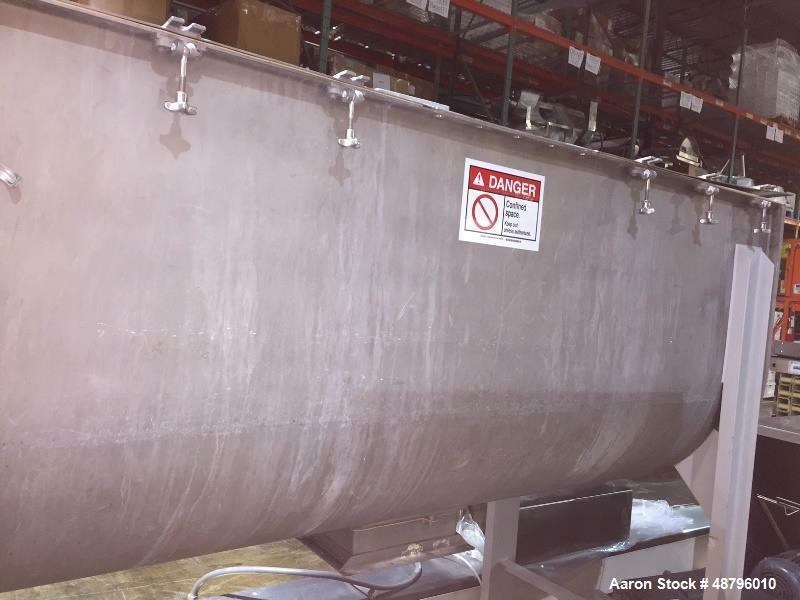 This all Stainless Steel unit's trough measures 96" long x 36" wide x 39" high, This unit is a Model G, 69 cubic foot overall capacity and 62.5 cubic foot working capacity. 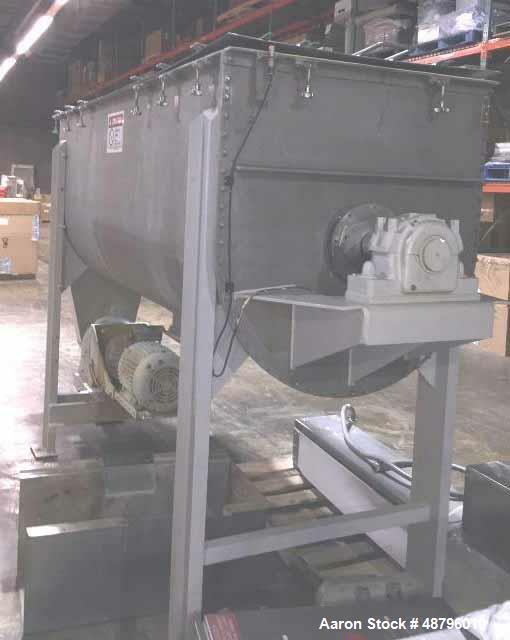 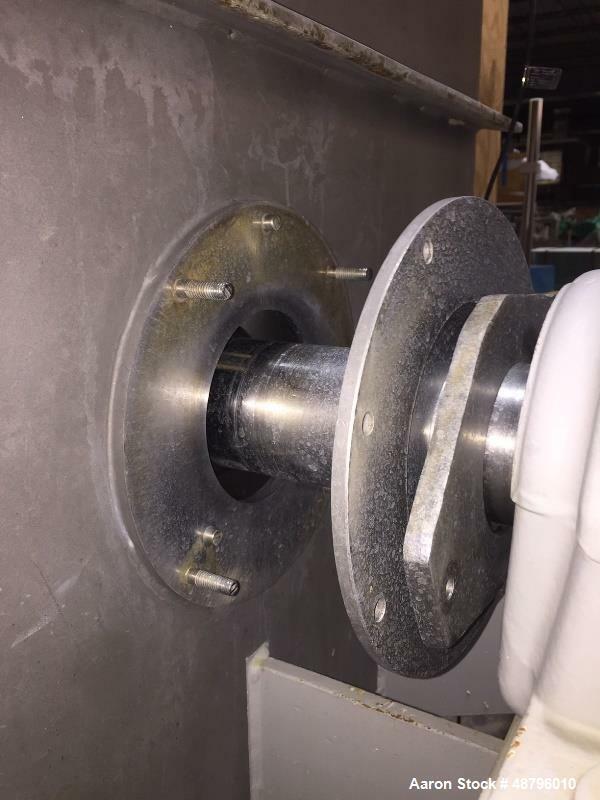 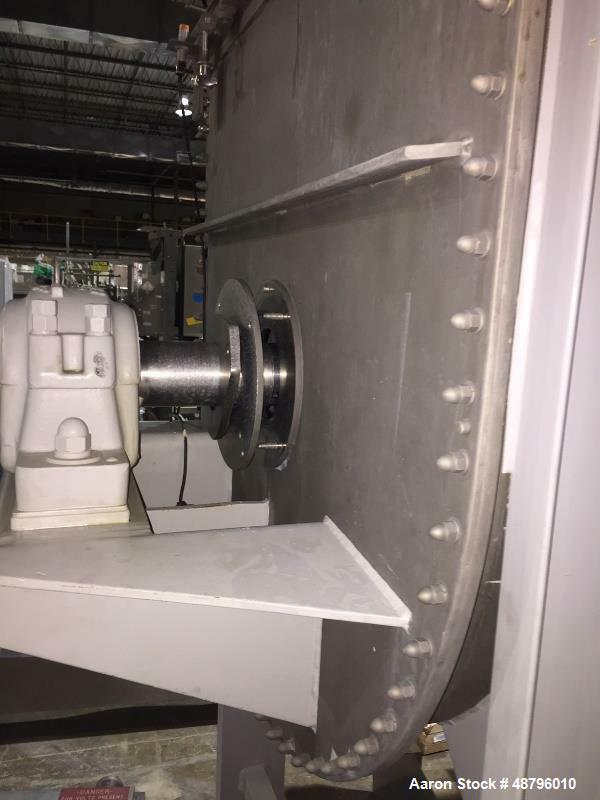 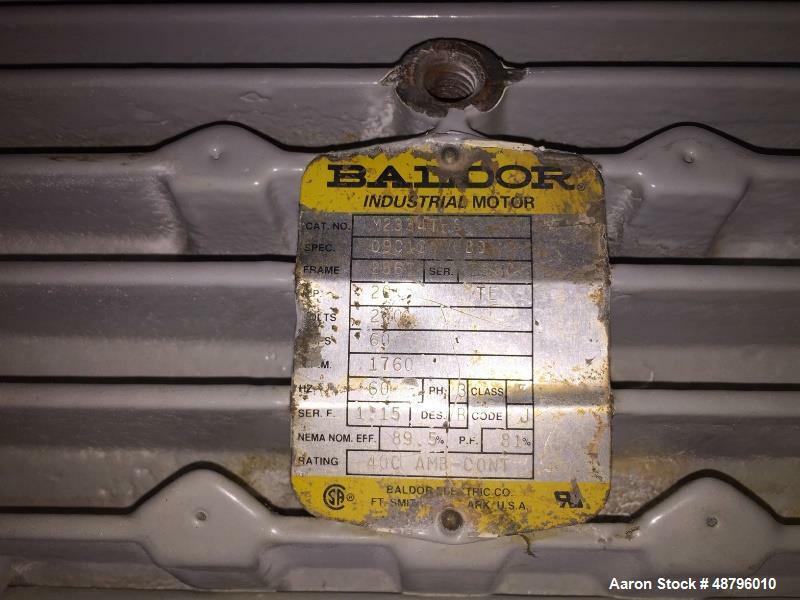 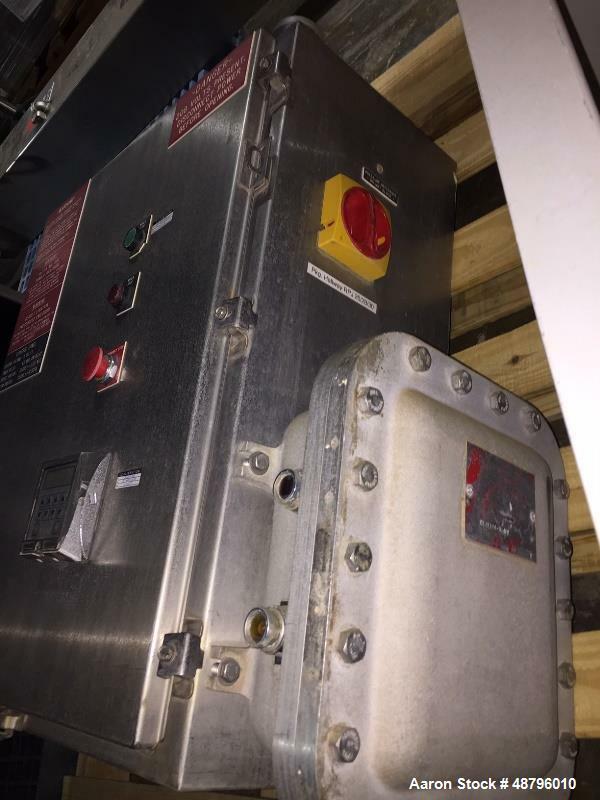 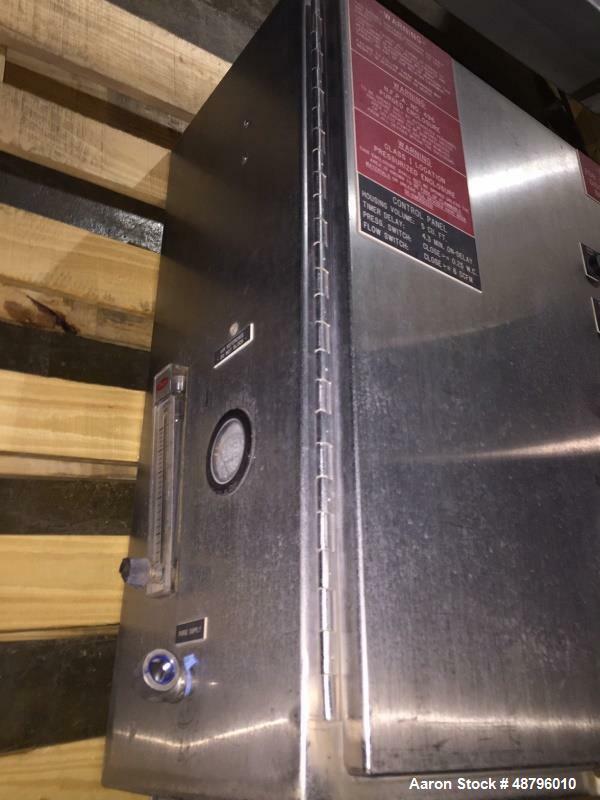 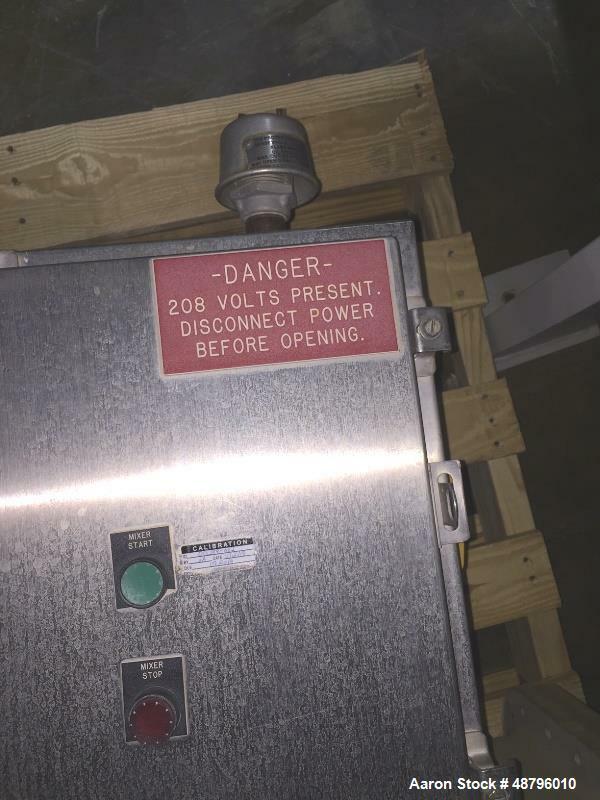 Unit comes with a 3 piece fully gasketed with 20" bolt down section and two hinged covers, center bottom outlet 6" wide with slide gate valve, with a 36" discharge height, Baldor motor, 20 hp, 60 HZ, 3 PH, 208/230/460 volt, 60 amp, 1760 rpm, with in line gear reducer and fluid coupling by fluid trans for full load start 40 rpm agitator speed, 3.5" diameter main shaft, with remote control panel that is in a stainless steel pressurized cabinet, class 1 rated, comes with On/Off switches and timer controls.